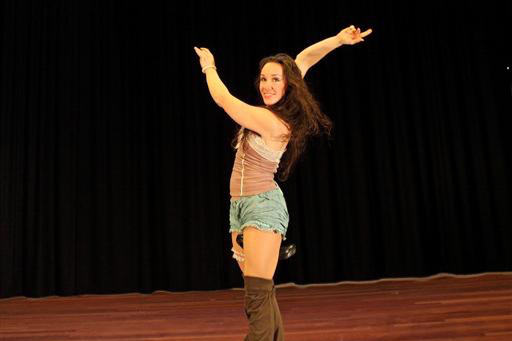 A professional German circus artist with more than 19 years performance experience - Ina began her remarkable career at a young age, perfecting her circus skills at the Dutch Circus School "Codarts". 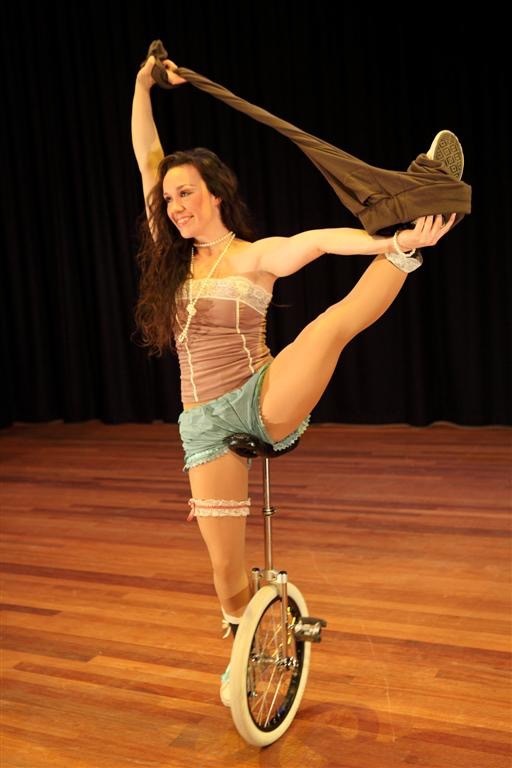 Ina is a sponsored QU-AX unicycle champion and currently holds a number of Australian unicycle records. Not content with mastering one wheel, Ina turned her attention to the BMX, and it quickly became her passion alongside acrobatics and the unicycle. Ina has performed worldwide in more than 16 countries in different performing fields such as street, stage, theater, corporate and circus. 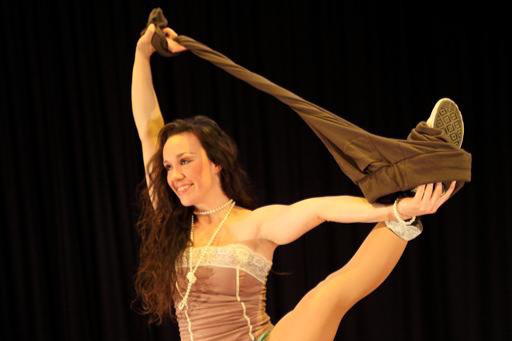 Ina is an extremely versatile and experienced performer and looks forward to helping you create something magical! Can you get out of your trousers while balancing on a unicycle? Bikerina Can! Bikerina is an award winning unicycle Champion and will show you the impossible all while maintaining her (non existent) German sense of humor. Check it out! Bikerina is warming up with some contorted handstands while you read this. 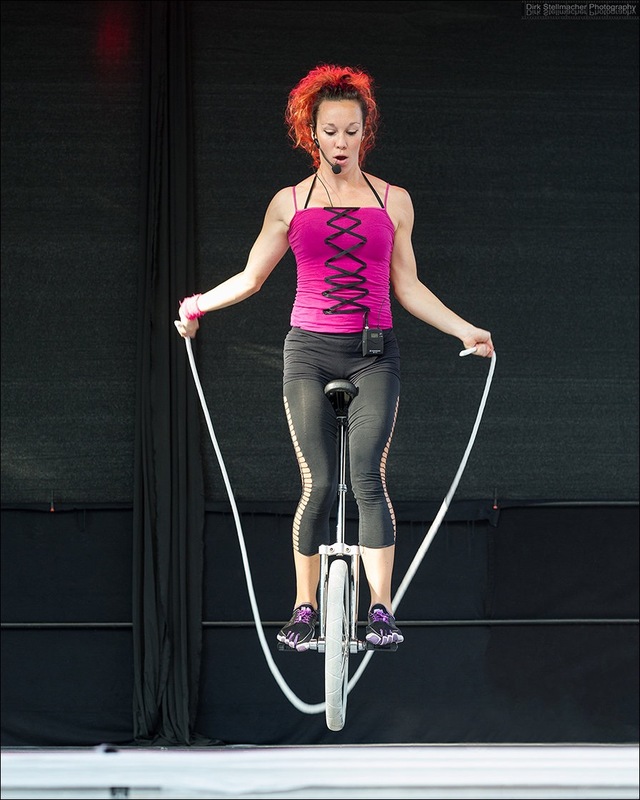 In “Strip that Bike” Ina will undress herself (till what you see in the photos below) while continuously keeping herself balanced on a unicycle. A striptease with a wink on a stripped bike! This cheerful and humorous act is fun and to see for all ages. The poor ballerina is left alone again from her dance partner. She finds her way without men because who needs men when you have a BMX? Look forward to a very special Pas de Deux with interesting images and contrasts like you never saw before. Bikerina will get back to you as soon as is humanly possible. Bikerina loves to travel and wants to help make your event great! © 2018 Bikerina.com | All rights reserved.